Naruto follows the boy who fights ninja enemies. Created by a developer who works on creating Nintendo cones for the PC, this game looks pretty Nintendo-ish. In it, you follow a 2D platformer world in a 32-bit environment while defeating enemies by using standard attacks: punches, combos, kicks and some weapons. It's all rather reminiscent of Street Fighter and Megaman X combined. 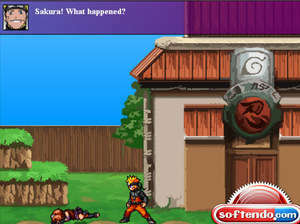 For security reasons, you should also check out the Naruto Game download at LO4D.com which includes virus and malware tests. Additional screenshots of this application download may be available, too. Provides reviews, screenshots, videos and download links to the highest-rated PC adventure games. Reviews are occasionally posted by the editing staff. Check out some of the freeware downloads available in the arcade game category. They contain no strings and are available at zero cost. 4 out of 5 based on 39 ratings.